Aurora Health Care—an integrated, not-for-profit, health care provider with 15 hospitals, 70 pharmacies and more than 150 clinics throughout eastern Wisconsin and northern Illinois—taps into patient insight to deliver consumer-centric services and experiences to its market. Until recently, focusing on consumers was not a priority in the health care industry. But with changes in U.S. legislation, and to continue to deliver on its vision to help people live well, Aurora Health Care wanted a way to incorporate the voice of the patient into new communications and patient experience initiatives. The goal was to use ongoing patient insight to exceed consumer expectations. 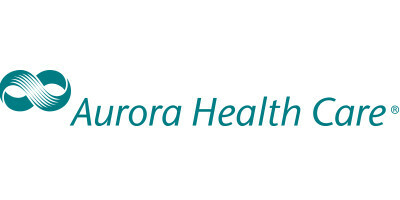 Aurora Health Share represents Aurora’s primary care population and informs traditional and digital marketing, branding, paid social media programs and mobile apps. For example, the community shapes the company’s email marketing program and segmentation strategy. Feedback also helps Aurora target high growth areas of the business and inform their approach to segments like sports medicine care. Perhaps most importantly, the insight community helps improve the patient experience. For instance, community members provided feedback on myAurora, the organization’s patient portal, which helps the team prioritize enhancements and make decisions that truly represent the voice of the patient. What we love about our patient community is the immediacy. We are able to quickly get a pulse of what consumers are saying. It has helped us put the consumer at the center of all our decisions. Overall, Aurora Health Share has been instrumental in transforming the culture of Aurora towards a culture of consumerism in many facets. Learn how you can tap into the voice of your patients to drive better care and more effecting marketing strategies.